You cannot help but admire the clever design of the three fine daggers in this set. A set like this proves useful when sneaking up on your assigned target. The Assassin Liberty Throwing Knives belong in the hands of the warrior who values stealth and speed. Golden accents decorate the finger ring and hilt of each dagger. An elegant pattern of Medieval style trails the spear point blade. 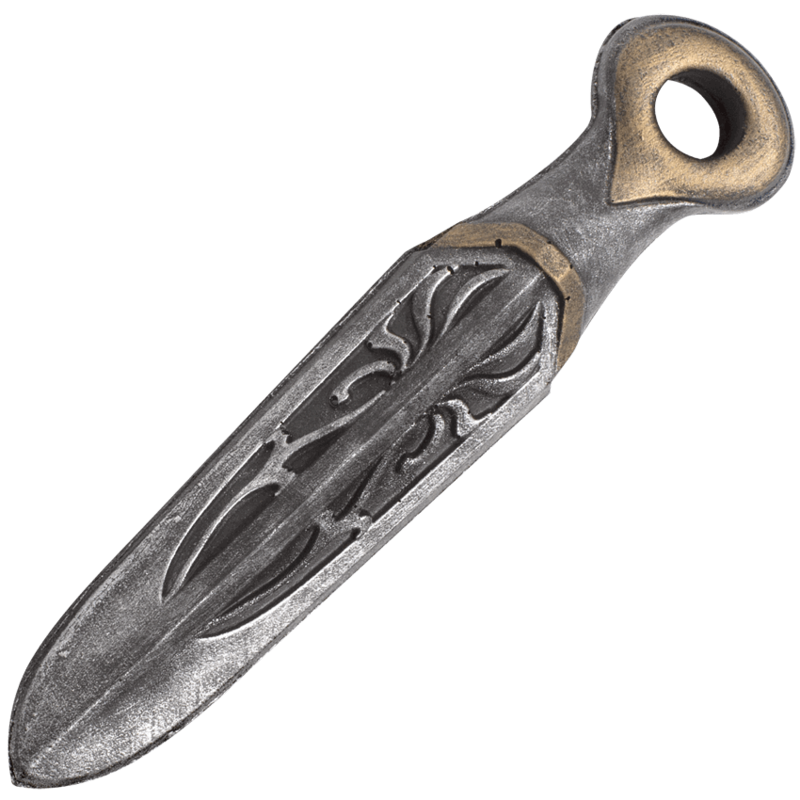 Whether you are a mercenary or the royal executioner, these throwing daggers are a suitable choice for catching your prey unawares.